Anything you can think of or need for your commercial application, we do it! Audio Video Architechs has installed and integrated solutions for a very large number of commercial properties. 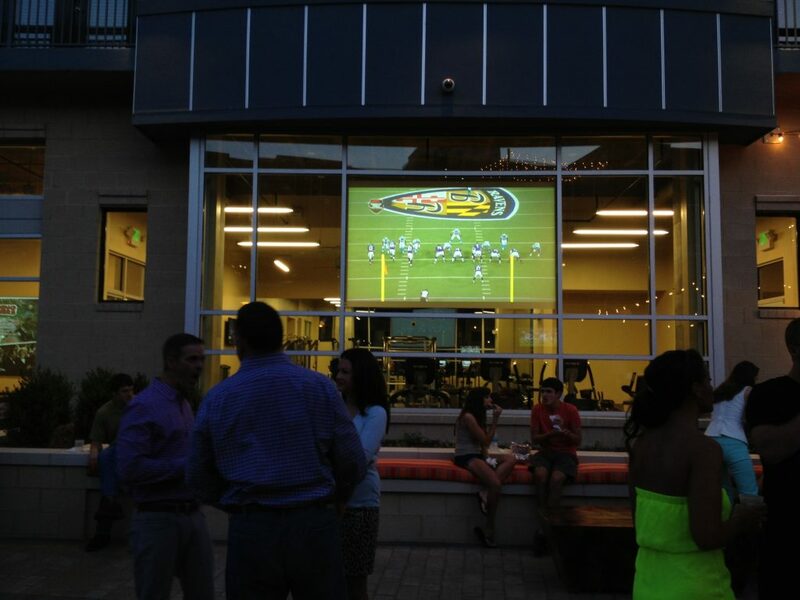 There is no limit to what we can design, install and customize for your property, such as rear projected images on windows (seen below), to virtual sports simulators that handle every thing from golf to zombie dodgeball. Also now offering the services of SOUNDMACHINE which will allow us to monitor and customize playlists and monitor sound playing throughout your building, at every location, remotely. SOUNDMACHINE allows you to schedule different playlists for different times of the day as well as add messages to them.